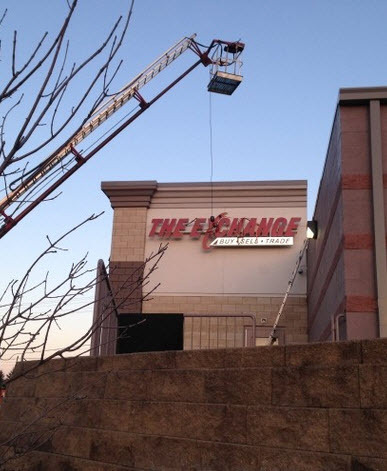 With years of experience, your installation needs will be taken care of by our very own sign professionals. They proudly afford us the knowledge needed to deliver the results you are looking for. Our work complies with all of the local and state code requirements. Ensuring that the job is done right the first time - every time. Our team is provided with a diverse fleet of service vehicles, tools and the latest technology. Eager to get the job done, our crew will accomplish all signage jobs with the highest quality of work. Feel free to e-mail or give us a call to start your custom signage process. As always, we are here to complete your installation project on time and on budget. We look forward to inform you about our warranty we offer on our work and how we can help your business become noticed!